","location='../../../../../../../../index.cfm/lev1/10'"); mm_menu_1_0.addMenuItem("Steel Systems","location='../../../../../../../../products/?act=pdπd=65'"); mm_menu_1_0.addMenuItem("Light Industrial Units","location='../../../../../../../../products/?act=pdπd=64'"); mm_menu_1_0.addMenuItem("Heavy-Duty FRP Units","location='../../../../../../../../products/?act=pdπd=66'"); mm_menu_1_0.addMenuItem("Venturi Scrubbers","location='../../../../../../../../products/?act=pdπd=931'"); mm_menu_1_0.addMenuItem("Frac-Tank Scrubbers","location='../../../../../../../../products/?act=pdπd=930'"); mm_menu_1_0.addMenuItem("Trailer Mounted Vacuum Truck Units","location='../../../../../../../../products/?act=pdπd=826'"); mm_menu_1_0.addMenuItem("Chassis Mounted Vapor Scrubber Units","location='../../../../../../../../products/?act=pdπd=917'"); mm_menu_1_0.addMenuItem("High Volume Scrubbers","location='../../../../../../../../products/?act=pdπd=852'"); mm_menu_1_0.addMenuItem("E6500-R3K Trailer Mounted System","location='../../../../../../../../products/?act=pdπd=946'"); mm_menu_1_0.hideOnMouseOut = true; mm_menu_1_0.childMenuIcon = ""; mm_menu_1_0.bgColor = "#dcebe0"; mm_menu_1_0.menuBorder = 1; mm_menu_1_0.menuLiteBgColor = "#70907f"; mm_menu_1_0.menuBorderBgColor = "#dcebe0"; window.mm_menu_2_0 = new Menu("root",202,24,"","11","#ffffff","#ffffff","#70907f","#99b0a5","left","middle",3,1,300,1,0,true,true,true,0,true,true); // mm_menu_2_0.addMenuItem("
","location='../../../../../../../../index.cfm/lev1/911'"); mm_menu_2_0.addMenuItem("Eliminator 450 Scrubber System","location='../../../../../../../../products/?act=pdπd=910'"); mm_menu_2_0.addMenuItem("Eliminator 550-304S Scrubber System","location='../../../../../../../../products/?act=pdπd=918'"); mm_menu_2_0.addMenuItem("Eliminator 500-1KR Scrubber System","location='../../../../../../../../products/?act=pdπd=912'"); mm_menu_2_0.addMenuItem("Eliminator 5500 Scrubber System","location='../../../../../../../../products/?act=pdπd=909'"); mm_menu_2_0.hideOnMouseOut = true; mm_menu_2_0.childMenuIcon = ""; mm_menu_2_0.bgColor = "#dcebe0"; mm_menu_2_0.menuBorder = 1; mm_menu_2_0.menuLiteBgColor = "#70907f"; mm_menu_2_0.menuBorderBgColor = "#dcebe0"; window.mm_menu_3_0 = new Menu("root",202,24,"","11","#ffffff","#ffffff","#70907f","#99b0a5","left","middle",3,1,300,1,0,true,true,true,0,true,true); // mm_menu_3_0.addMenuItem("
","location='../../../../../../../../index.cfm/lev1/805'"); mm_menu_3_0.addMenuItem("VT50PM-200 Scrubber with Blower","location='../../../../../../../../products/?act=pdπd=808'"); mm_menu_3_0.addMenuItem("PES30-18 Micro Scrubber","location='../../../../../../../../products/?act=pdπd=939'"); mm_menu_3_0.addMenuItem("PES65-12 Vapor Scrubber","location='../../../../../../../../products/?act=pdπd=809'"); mm_menu_3_0.addMenuItem("PPT-24 Twin Column Scrubber","location='../../../../../../../../products/?act=pdπd=944'"); mm_menu_3_0.addMenuItem("PES225-18 Scrubber","location='../../../../../../../../products/?act=pdπd=71'"); mm_menu_3_0.addMenuItem("PPS-24 Vapor Scrubber System","location='../../../../../../../../products/?act=pdπd=943'"); mm_menu_3_0.addMenuItem("FRPS200-12 Scrubber System","location='../../../../../../../../products/?act=pdπd=938'"); mm_menu_3_0.hideOnMouseOut = true; mm_menu_3_0.childMenuIcon = ""; mm_menu_3_0.bgColor = "#dcebe0"; mm_menu_3_0.menuBorder = 1; mm_menu_3_0.menuLiteBgColor = "#70907f"; mm_menu_3_0.menuBorderBgColor = "#dcebe0"; window.mm_menu_4_0 = new Menu("root",202,24,"","11","#ffffff","#ffffff","#70907f","#99b0a5","left","middle",3,1,300,1,0,true,true,true,0,true,true); // mm_menu_4_0.addMenuItem("
","location='../../../../../../../../index.cfm/lev1/54'"); mm_menu_4_0.addMenuItem("SST-40 Vapor Scrubbing System","location='../../../../../../../../products/?act=pdπd=63'"); mm_menu_4_0.addMenuItem("SSTR-54 Triple Column Scrubber","location='../../../../../../../../products/?act=pdπd=53'"); mm_menu_4_0.addMenuItem("SST-20 Stainless Vapor Scrubber","location='../../../../../../../../products/?act=pdπd=827'"); mm_menu_4_0.addMenuItem("PPS-24 Poly Rental Scrubber","location='../../../../../../../../products/?act=pdπd=807'"); mm_menu_4_0.addMenuItem("PPT-24 Poly Rental Scrubber","location='../../../../../../../../products/?act=pdπd=945'"); mm_menu_4_0.addMenuItem("FRPT-30 FRP Vapor Scrubber","location='../../../../../../../../products/?act=pdπd=926'"); mm_menu_4_0.addMenuItem("Eliminator 550-304S Scrubber","location='../../../../../../../../products/?act=pdπd=920'"); mm_menu_4_0.addMenuItem("Eliminator 500-1KR Scrubber System","location='../../../../../../../../products/?act=pdπd=913'"); mm_menu_4_0.addMenuItem("Eliminator 5500 Scrubber Unit","location='../../../../../../../../products/?act=pdπd=851'"); mm_menu_4_0.hideOnMouseOut = true; mm_menu_4_0.childMenuIcon = ""; mm_menu_4_0.bgColor = "#dcebe0"; mm_menu_4_0.menuBorder = 1; mm_menu_4_0.menuLiteBgColor = "#70907f"; mm_menu_4_0.menuBorderBgColor = "#dcebe0"; window.mm_menu_5_0 = new Menu("root",202,24,"","11","#ffffff","#ffffff","#70907f","#99b0a5","left","middle",3,1,300,1,0,true,true,true,0,true,true); // mm_menu_5_0.addMenuItem("
","location='../../../../../../../../index.cfm/lev1/93'"); mm_menu_5_0.addMenuItem("NOVAC 750 Carbon Adsorber","location='../../../../../../../../products/?act=pdπd=940'"); mm_menu_5_0.addMenuItem("NOVAC 1000 Carbon Vessel","location='../../../../../../../../products/?act=pdπd=828'"); mm_menu_5_0.addMenuItem("NOVAC 2000 Carbon Vessel","location='../../../../../../../../products/?act=pdπd=949'"); mm_menu_5_0.addMenuItem("R4K Radial Carbon Adsorber","location='../../../../../../../../products/?act=pdπd=935'"); mm_menu_5_0.addMenuItem("1KR Carbon Vessel","location='../../../../../../../../products/?act=pdπd=932'"); mm_menu_5_0.addMenuItem("VP-55 Vapor Phase Carbon Adsorber","location='../../../../../../../../products/?act=pdπd=15'"); mm_menu_5_0.addMenuItem("VP-55 with Venturi Air Induction","location='../../../../../../../../products/?act=pdπd=14'"); mm_menu_5_0.addMenuItem("VP55D Carbon Adsorber for H2S","location='../../../../../../../../products/?act=pdπd=813'"); mm_menu_5_0.addMenuItem("VP55A Carbon Adsorber for Ammonia","location='../../../../../../../../products/?act=pdπd=814'"); mm_menu_5_0.addMenuItem("AIR TECH 55 Venturi Air Induction Unit","location='../../../../../../../../products/?act=pdπd=16'"); mm_menu_5_0.hideOnMouseOut = true; mm_menu_5_0.childMenuIcon = ""; mm_menu_5_0.bgColor = "#dcebe0"; mm_menu_5_0.menuBorder = 1; mm_menu_5_0.menuLiteBgColor = "#70907f"; mm_menu_5_0.menuBorderBgColor = "#dcebe0"; window.mm_menu_6_0 = new Menu("root",202,24,"","11","#ffffff","#ffffff","#70907f","#99b0a5","left","middle",3,1,300,1,0,true,true,true,0,true,true); // mm_menu_6_0.addMenuItem("
","location='../../../../../../../../index.cfm/lev1/941'"); mm_menu_6_0.addMenuItem("NOVAC 750 Carbon Adsorber","location='../../../../../../../../products/?act=pdπd=941'"); mm_menu_6_0.addMenuItem("NOVAC 1000 Carbon Vessel","location='../../../../../../../../products/?act=pdπd=850'"); mm_menu_6_0.addMenuItem("NOVAC 2000 Carbon Vessel","location='../../../../../../../../products/?act=pdπd=98'"); mm_menu_6_0.addMenuItem("R4K Radial Carbon Adsorber","location='../../../../../../../../products/?act=pdπd=936'"); mm_menu_6_0.addMenuItem("Large Carbon Vessels","location='../../../../../../../../products/?act=pdπd=99'"); mm_menu_6_0.hideOnMouseOut = true; mm_menu_6_0.childMenuIcon = ""; mm_menu_6_0.bgColor = "#dcebe0"; mm_menu_6_0.menuBorder = 1; mm_menu_6_0.menuLiteBgColor = "#70907f"; mm_menu_6_0.menuBorderBgColor = "#dcebe0"; window.mm_menu_7_0 = new Menu("root",202,24,"","11","#ffffff","#ffffff","#70907f","#99b0a5","left","middle",3,1,300,1,0,true,true,true,0,true,true); // mm_menu_7_0.addMenuItem("
","location='../../../../../../../../index.cfm/lev1/937'"); mm_menu_7_0.addMenuItem("1500 CFM Steel Blower","location='../../../../../../../../products/?act=pdπd=95'"); mm_menu_7_0.addMenuItem("RB1200 Pressure Blower","location='../../../../../../../../products/?act=pdπd=921'"); mm_menu_7_0.addMenuItem("STORM 14 Poly Blower","location='../../../../../../../../products/?act=pdπd=934'"); mm_menu_7_0.addMenuItem("100% Poly Blowers","location='../../../../../../../../products/?act=pdπd=829'"); mm_menu_7_0.addMenuItem("Pneumatic Venturi Blowers","location='../../../../../../../../products/?act=pdπd=830'"); mm_menu_7_0.addMenuItem("Coppus Blowers","location='../../../../../../../../products/?act=pdπd=831'"); mm_menu_7_0.addMenuItem("Carbon Drum Blower (Air)","location='../../../../../../../../products/?act=pdπd=942'"); mm_menu_7_0.hideOnMouseOut = true; mm_menu_7_0.childMenuIcon = ""; mm_menu_7_0.bgColor = "#dcebe0"; mm_menu_7_0.menuBorder = 1; mm_menu_7_0.menuLiteBgColor = "#70907f"; mm_menu_7_0.menuBorderBgColor = "#dcebe0"; window.mm_menu_8_0 = new Menu("root",202,24,"","11","#ffffff","#ffffff","#70907f","#99b0a5","left","middle",3,1,300,1,0,true,true,true,0,true,true); // mm_menu_8_0.addMenuItem("
","location='../../../../../../../../index.cfm/lev1/801'"); mm_menu_8_0.addMenuItem("Activated Carbon Media","location='../../../../../../../../products/?act=pdπd=801'"); mm_menu_8_0.addMenuItem("KOH Carbon Media","location='../../../../../../../../products/?act=pdπd=802'"); mm_menu_8_0.addMenuItem("High Efficiency H2S Carbon","location='../../../../../../../../products/?act=pdπd=822'"); mm_menu_8_0.addMenuItem("Ammonia Adsorbing Carbon","location='../../../../../../../../products/?act=pdπd=824'"); mm_menu_8_0.addMenuItem("VTCM II","location='../../../../../../../../products/?act=pdπd=846'"); mm_menu_8_0.addMenuItem("VTCM-IPP","location='../../../../../../../../products/?act=pdπd=847'"); mm_menu_8_0.addMenuItem("VTCM IPSp","location='../../../../../../../../products/?act=pdπd=848'"); mm_menu_8_0.hideOnMouseOut = true; mm_menu_8_0.childMenuIcon = ""; mm_menu_8_0.bgColor = "#dcebe0"; mm_menu_8_0.menuBorder = 1; mm_menu_8_0.menuLiteBgColor = "#70907f"; mm_menu_8_0.menuBorderBgColor = "#dcebe0"; window.mm_menu_9_0 = new Menu("root",202,24,"","11","#ffffff","#ffffff","#70907f","#99b0a5","left","middle",3,1,300,1,0,true,true,true,0,true,true); // mm_menu_9_0.addMenuItem("
","location='../../../../../../../../index.cfm/lev1/914'"); mm_menu_9_0.addMenuItem("BIO-SCRUB X","location='../../../../../../../../products/?act=pdπd=811'"); mm_menu_9_0.addMenuItem("BSX50-EVT6","location='../../../../../../../../products/?act=pdπd=928'"); mm_menu_9_0.addMenuItem("EZ-STRIP SS","location='../../../../../../../../products/?act=pdπd=810'"); mm_menu_9_0.addMenuItem("CARBONIL XT","location='../../../../../../../../products/?act=pdπd=925'"); mm_menu_9_0.addMenuItem("CARBONIL ST","location='../../../../../../../../products/?act=pdπd=948'"); mm_menu_9_0.addMenuItem("CARBONIL ES","location='../../../../../../../../products/?act=pdπd=924'"); mm_menu_9_0.addMenuItem("ENVIRO-SCRUB VT","location='../../../../../../../../products/?act=pdπd=821'"); mm_menu_9_0.addMenuItem("ENVIRO-SCRUB VT (6% SOLUTION)","location='../../../../../../../../products/?act=pdπd=922'"); mm_menu_9_0.addMenuItem("VAMSOL 40","location='../../../../../../../../products/?act=pdπd=919'"); mm_menu_9_0.addMenuItem("SULFUR SCRUB 43","location='../../../../../../../../products/?act=pdπd=923'"); mm_menu_9_0.hideOnMouseOut = true; mm_menu_9_0.childMenuIcon = ""; mm_menu_9_0.bgColor = "#dcebe0"; mm_menu_9_0.menuBorder = 1; mm_menu_9_0.menuLiteBgColor = "#70907f"; mm_menu_9_0.menuBorderBgColor = "#dcebe0"; window.mm_menu_10_0 = new Menu("root",202,24,"","11","#ffffff","#ffffff","#70907f","#99b0a5","left","middle",3,1,300,1,0,true,true,true,0,true,true); // mm_menu_10_0.addMenuItem("
","location='../../../../../../../../index.cfm/lev1/915'"); mm_menu_10_0.addMenuItem("CARBONIL XT","location='../../../../../../../../products/?act=pdπd=13'"); mm_menu_10_0.addMenuItem("CARBONIL ST","location='../../../../../../../../products/?act=pdπd=24'"); mm_menu_10_0.addMenuItem("CARBONIL","location='../../../../../../../../products/?act=pdπd=49'"); mm_menu_10_0.addMenuItem("CARBONIL ES","location='../../../../../../../../products/?act=pdπd=853'"); mm_menu_10_0.hideOnMouseOut = true; mm_menu_10_0.childMenuIcon = ""; mm_menu_10_0.bgColor = "#dcebe0"; mm_menu_10_0.menuBorder = 1; mm_menu_10_0.menuLiteBgColor = "#70907f"; mm_menu_10_0.menuBorderBgColor = "#dcebe0"; window.mm_menu_11_0 = new Menu("root",202,24,"","11","#ffffff","#ffffff","#70907f","#99b0a5","left","middle",3,1,300,1,0,true,true,true,0,true,true); // mm_menu_11_0.addMenuItem("
","location='../../../../../../../../index.cfm/lev1/6'"); mm_menu_11_0.addMenuItem("MERCAPTOLYTE 200","location='../../../../../../../../products/?act=pdπd=6'"); mm_menu_11_0.addMenuItem("EZ-STRIP SS","location='../../../../../../../../products/?act=pdπd=929'"); mm_menu_11_0.addMenuItem("ENVIRO-SCRUB VT","location='../../../../../../../../products/?act=pdπd=819'"); mm_menu_11_0.addMenuItem("ENVIRO-SCRUB VT (6% Solution)","location='../../../../../../../../products/?act=pdπd=927'"); mm_menu_11_0.hideOnMouseOut = true; mm_menu_11_0.childMenuIcon = ""; mm_menu_11_0.bgColor = "#dcebe0"; mm_menu_11_0.menuBorder = 1; mm_menu_11_0.menuLiteBgColor = "#70907f"; mm_menu_11_0.menuBorderBgColor = "#dcebe0"; window.mm_menu_12_0 = new Menu("root",202,24,"","11","#ffffff","#ffffff","#70907f","#99b0a5","left","middle",3,1,300,1,0,true,true,true,0,true,true); // mm_menu_12_0.addMenuItem("
","location='../../../../../../../../index.cfm/lev1/2'"); mm_menu_12_0.addMenuItem("D-ODORIT 300","location='../../../../../../../../products/?act=pdπd=7'"); mm_menu_12_0.addMenuItem("D-ODORIT 100 OB","location='../../../../../../../../products/?act=pdπd=3'"); mm_menu_12_0.addMenuItem("CARBONIL XT","location='../../../../../../../../products/?act=pdπd=4'"); mm_menu_12_0.addMenuItem("GRAPE PLUS","location='../../../../../../../../products/?act=pdπd=5'"); mm_menu_12_0.addMenuItem("ENVIRO-SCRUB VT","location='../../../../../../../../products/?act=pdπd=820'"); mm_menu_12_0.hideOnMouseOut = true; mm_menu_12_0.childMenuIcon = ""; mm_menu_12_0.bgColor = "#dcebe0"; mm_menu_12_0.menuBorder = 1; mm_menu_12_0.menuLiteBgColor = "#70907f"; mm_menu_12_0.menuBorderBgColor = "#dcebe0"; window.mm_menu_13_0 = new Menu("root",202,24,"","11","#ffffff","#ffffff","#70907f","#99b0a5","left","middle",3,1,300,1,0,true,true,true,0,true,true); // mm_menu_13_0.addMenuItem("
","location='../../../../../../../../index.cfm/lev1/797'"); mm_menu_13_0.addMenuItem("BULLDOGG","location='../../../../../../../../products/?act=pdπd=796'"); mm_menu_13_0.addMenuItem("EZ-STRIP","location='../../../../../../../../products/?act=pdπd=33'"); mm_menu_13_0.addMenuItem("PHOS-SCRUB","location='../../../../../../../../products/?act=pdπd=36'"); mm_menu_13_0.addMenuItem("TRI-SOLV (oil)","location='../../../../../../../../products/?act=pdπd=39'"); mm_menu_13_0.hideOnMouseOut = true; mm_menu_13_0.childMenuIcon = ""; mm_menu_13_0.bgColor = "#dcebe0"; mm_menu_13_0.menuBorder = 1; mm_menu_13_0.menuLiteBgColor = "#70907f"; mm_menu_13_0.menuBorderBgColor = "#dcebe0"; window.mm_menu_14_0 = new Menu("root",202,24,"","11","#ffffff","#ffffff","#70907f","#99b0a5","left","middle",3,1,300,1,0,true,true,true,0,true,true); // mm_menu_14_0.addMenuItem("
","location='../../../../../../../../index.cfm/lev1/798'"); mm_menu_14_0.addMenuItem("Si-Foam 10","location='../../../../../../../../products/?act=pdπd=798'"); mm_menu_14_0.hideOnMouseOut = true; mm_menu_14_0.childMenuIcon = ""; mm_menu_14_0.bgColor = "#dcebe0"; mm_menu_14_0.menuBorder = 1; mm_menu_14_0.menuLiteBgColor = "#70907f"; mm_menu_14_0.menuBorderBgColor = "#dcebe0"; window.mm_menu_15_0 = new Menu("root",202,24,"","11","#ffffff","#ffffff","#70907f","#99b0a5","left","middle",3,1,300,1,0,true,true,true,0,true,true); // mm_menu_15_0.addMenuItem("
","location='../../../../../../../../index.cfm/lev1/835'"); mm_menu_15_0.addMenuItem("pH Controllers","location='../../../../../../../../products/?act=pdπd=835'"); mm_menu_15_0.addMenuItem("Flame Arrestors","location='../../../../../../../../products/?act=pdπd=836'"); mm_menu_15_0.addMenuItem("Industrial Vapor Hose","location='../../../../../../../../products/?act=pdπd=837'"); mm_menu_15_0.addMenuItem("Pails","location='../../../../../../../../products/?act=pdπd=840'"); mm_menu_15_0.addMenuItem("Poly Storage Drums","location='../../../../../../../../products/?act=pdπd=838'"); mm_menu_15_0.addMenuItem("Liquid Storage Totes","location='../../../../../../../../products/?act=pdπd=839'"); mm_menu_15_0.addMenuItem("Poly Drum Pump","location='../../../../../../../../products/?act=pdπd=841'"); mm_menu_15_0.hideOnMouseOut = true; mm_menu_15_0.childMenuIcon = ""; mm_menu_15_0.bgColor = "#dcebe0"; mm_menu_15_0.menuBorder = 1; mm_menu_15_0.menuLiteBgColor = "#70907f"; mm_menu_15_0.menuBorderBgColor = "#dcebe0"; window.mm_menu_16_0 = new Menu("root",202,24,"","11","#ffffff","#ffffff","#70907f","#99b0a5","left","middle",3,1,300,1,0,true,true,true,0,true,true); // mm_menu_16_0.addMenuItem("
Vapor Tech has a full service fabrication shop which can help your company design and build a whole host of equipment. 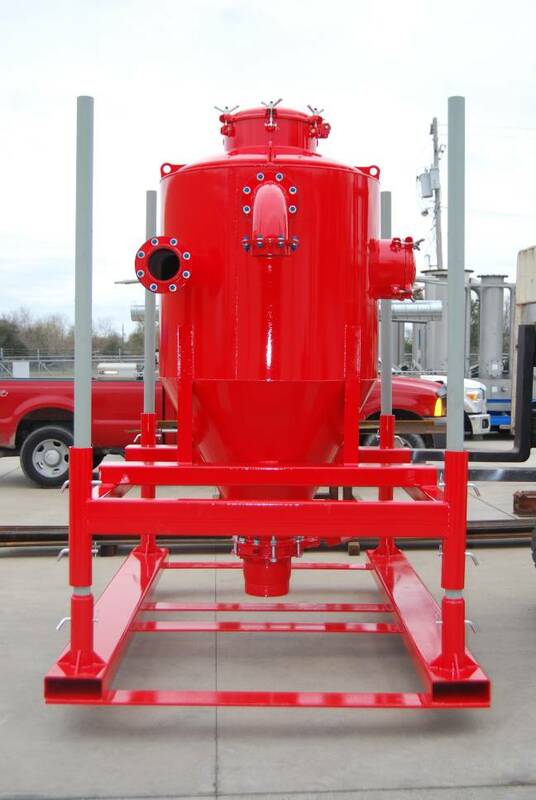 From large hoppers and vapor vessels to manway adapters, we have the expertise and equipment to get your job done quick. We have a CNC plasma table, TIG, MIG, Ironworkers, etc to facilitate very professional work. Our fabrication team can work with you to make your project become reality. We offer free consultation and design help on all projects we do. Call us today for your next project.